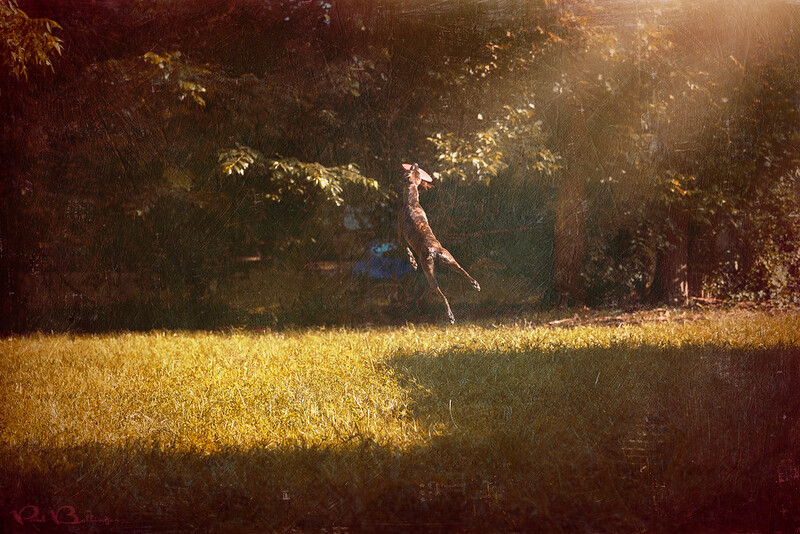 It's time for this blog to take off like Sala leaping for the Frisbee! My new Montana wedding photography business is launching and I can't wait to get to Montana and start photographing weddings! I specialize in fine art wedding photography a perfect fit for nature's fine art landscape in Montana. My unique wedding artwork is dramatic, romantic, fantastical and dream like. Visit my site www.paulbellinger.com to begin making your Montana wedding dreams into artwork that will be cherished for generations. This is our youngest pup, Sala is just about a year old. He's our favorite part of Texas we'll be taking with us when we move to Montana. His breed is a crazy mix, but he is ripped to the bone! Mr. Muscles has been learning to catch the frisbee and, birds be warned, he can fly!